Barns are being reimagined for modern living and transcending their original function to become comfortable and appealing for modern dwellers. Recently, our team at Centric General Contractors worked together with architect William Duff of San Francisco to relocate and transform an empty barn for contemporary art collectors and philanthropists Cindy and Howard Rachofsky. 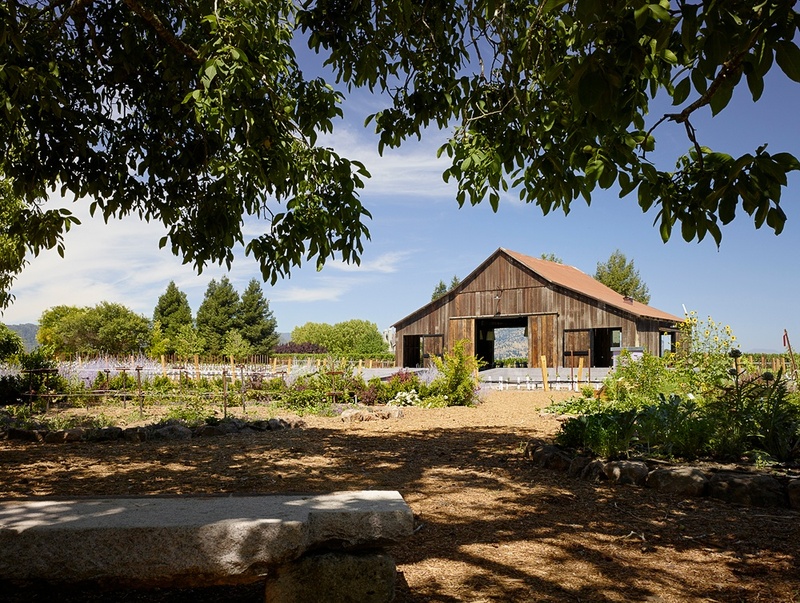 Originally, the barn was adjacent to the client’s Napa Valley vacation home. They were taken with the barn’s history and wanted to use the structure as an entertainment space and gym. As collectors of contemporary art, they wanted the space to be consistent with their artistic tastes. Adhering to minimalist principals, this adaptive reuse project provided many opportunities for experimentation and allowed the team to reimagine the former ranch site. Careful consideration was made to select the barn’s new location. 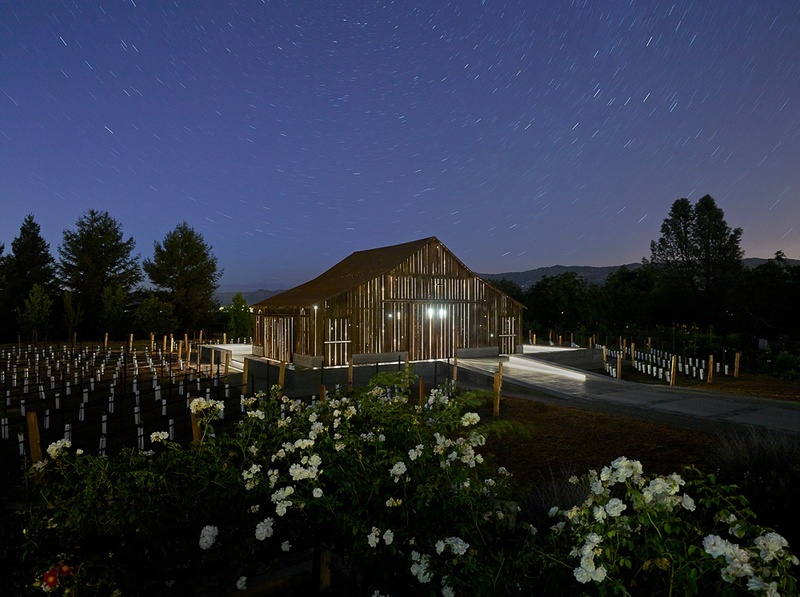 Given wine industry’s role in the contemporary Napa Valley identity, the architect and client felt grape vines should surround the barn. The most natural site was an empty field past the yard. 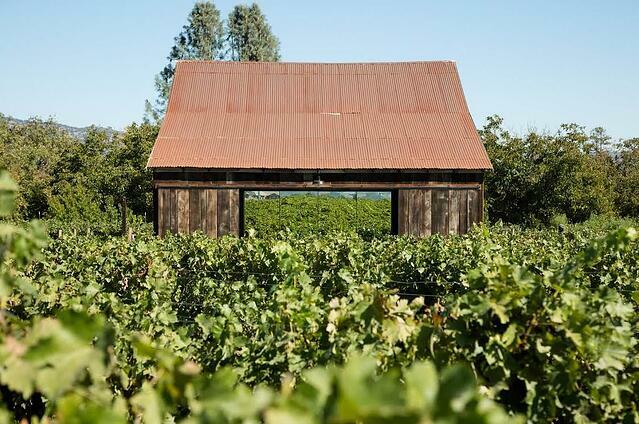 The field was transformed into a vineyard to embrace the relocated barn, which was elevated just above the vines. In it's new location, the barn became an art object in the landscape, just beyond surrounding sculptures that visually link it to the main house. Once relocated, the barn was completely restored and two rectangular, steel-framed, mirror-clad pavilions were created inside. The original barn, intended for drying hay, was left intact with light and air passing through its slatted structure. Gaps between the siding that once allowed light and air in for livestock and drying hay, now have a new board-formed concrete foundation that elevates the barn. Additionally, a new concrete plinth allows outdoor dining terraces around it. 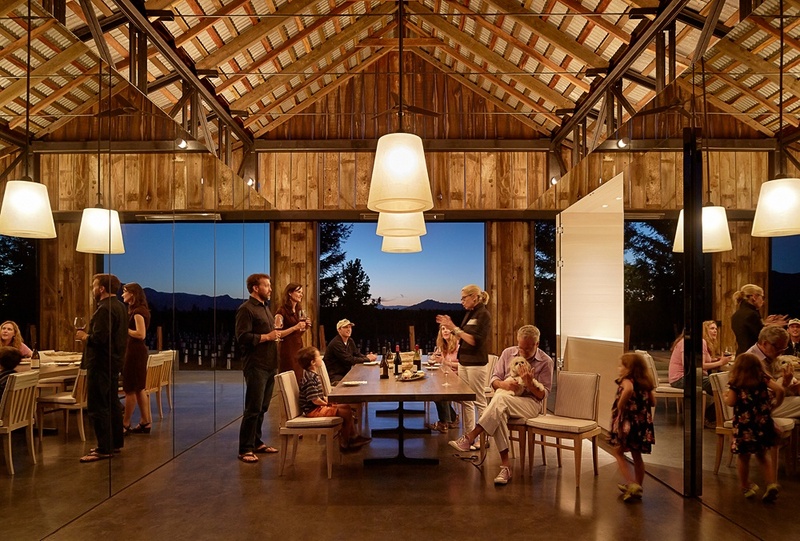 The barn serves as an airy entertainment pavilion. 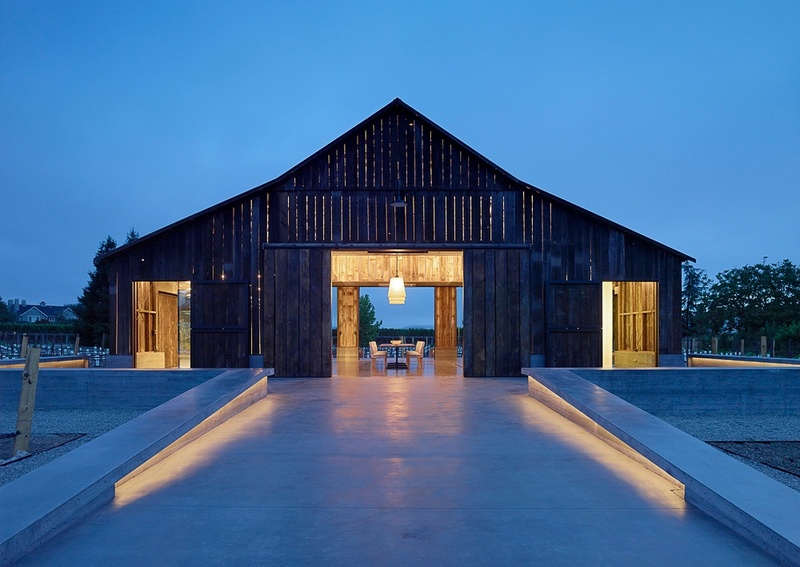 Light streams in through the barn’s wooden slats, form patterns on the new dark-stained polished floors, and when the barn doors are rolled back, the interior mirrors reflect the view. A dining area for smaller parties is centered between two new, mirrored cabins that infinitely reflect the bronze trestle and wood-top table. 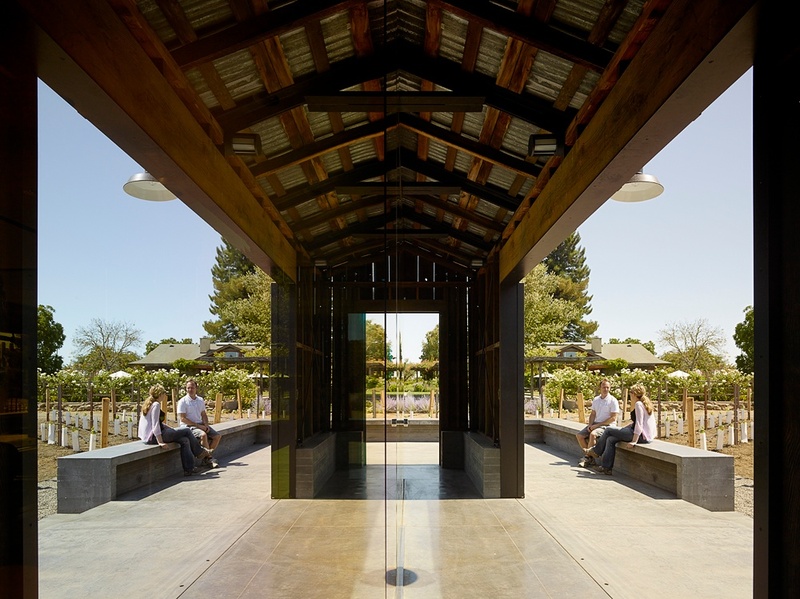 The opposing mirrored walls makes the most intimate gathering a sizable, colorful party, and diners can enjoy reflective views of gardens and vineyards in every direction. One cabin contains a service kitchen and the other a gym. 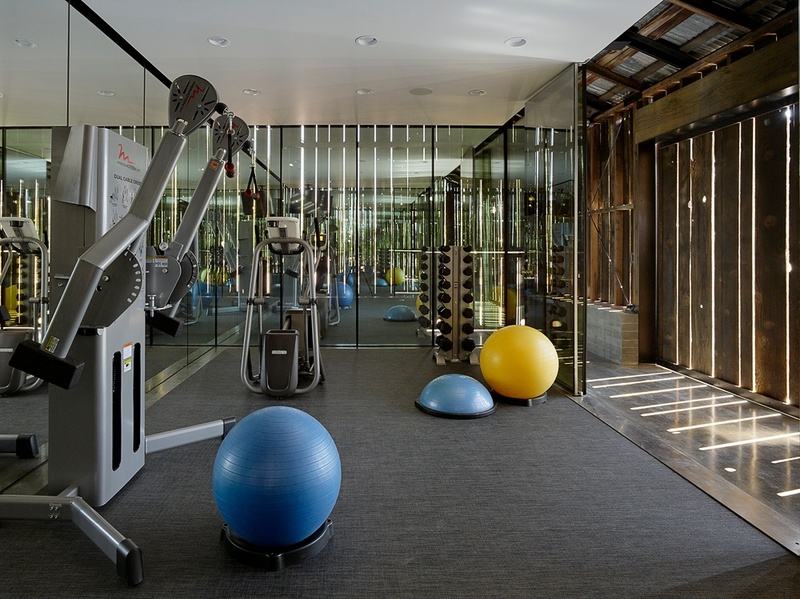 The gym, clad in two-way mirrors (transparent from the darkened side), is as reflective as its twin pavilion. At night, the barn becomes a kind of see-through lantern when lighted inside. Each project is an experience that requires team commitment. We want to thank the entire team of William Duff Architects, GFDS Engineers, Eric Johnson Associates (Lighting Designer), Steve Arns (Landscape) for making this project a success. Project photography was provided by Matthew Millman. Do you have adaptive reuse project stories? Please share them with us in the comments section.